The Sun transits and shines a brighter light on your 6th House of health, wellness, diet and your daily routines this month. Expect these areas to come to your immediate focus. Mercury (Self-expression, travel and intellect) enters Pisces (your 7th House of marriage on 2/5 and goes retrograde on 2/23). 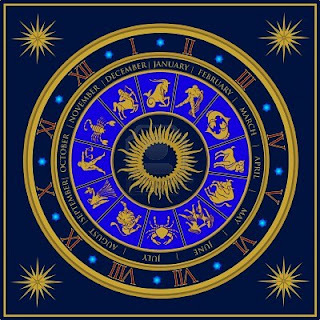 You can find early February to be memorable with regards to romance, Virgo! With Mercury in Pisces, you find the perfect words and an ongoing romance gets closer and becomes more committed. Additionally, Mars (Physical energy) enters Pisces bringing about a surge of sexuality, passion and energy and making the most of your love and professional life. Singles should get out and about as much as possible, while couples will be talking marriage and children and find that their bond grows stronger during this transit. With Mars in Pisces, make sure you hold your fire when it comes to conflicts or disagreements with others. Mars in Pisces can bring about aggression. Mars brings passion but it can also stir up conflict if you are not careful when communicating with those closest to you. Mars will be in Pisces from 2/1 - 2/25. Venus (Love) will also transit Aquarius, your 6th House of health, vitality and daily routines this month. Venus in your 6th House brings admiration and appreciation in these areas with little to zero effort on your part, Virgo. These areas will unfold with greater ease and bring you satisfaction when it comes to your health, your job and repair and maintenance issues. You notice your popularity escalates and your health could be clarified. Single Virgo could find an office romance at his or her place of work. Your best week this month will be the first week while the second week can bring some challenges, Virgo. A New Moon occurs in Aquarius and your 6th House of health, wellness and daily routines on 2/10. You could find the areas of health and wellness bring offers your way or you could decide to begin a new fitness, diet or exercise routine. Whatever transpires will revolve around your health, the way you take care of yourself and how you go about your daily routines and work life. Special to Virgo: Saturn turns retrograde in your 3rd House of travel, intellect and self-expression on 2/18 until 7/7. This transit could find you looking deeper into your subconscious and trying to decipher what makes you happiest when it comes to the way you express yourself, your relationship with siblings and while taking short distance trips. 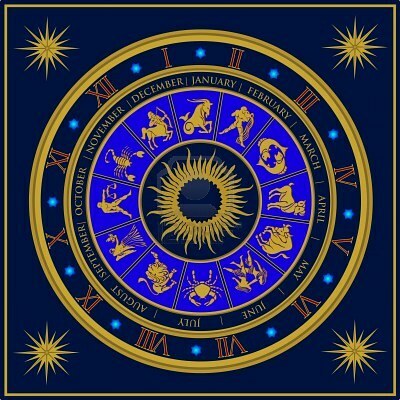 A Full Moon occurs in your sign Virgo on 2/25. This Full Moon is opposed by the Sun, Mercury, Neptune and Venus in your opposite sign of Pisces. This Full Moon could find you low on energy and low on patience. Others might make unfair demands on you and you could feel as though progress is not coming as quickly as you would like it to. Relax and know that this will pass! It's a month to be open to compromise with others and work with those who oppose you. Mercury (your ruling planet) will be retrograde during this Full Moon, so take heart and repeat yourself twice or more in order to make sure you are understood. Keep the lines of communication open when dealing with serious relationships. Mercury will be retrograde from 2/23 - 3/17. A Gemini, another Virgo and a Sagittarius play key roles in your life this month, Virgo. A Pisces will play a sentimental role.